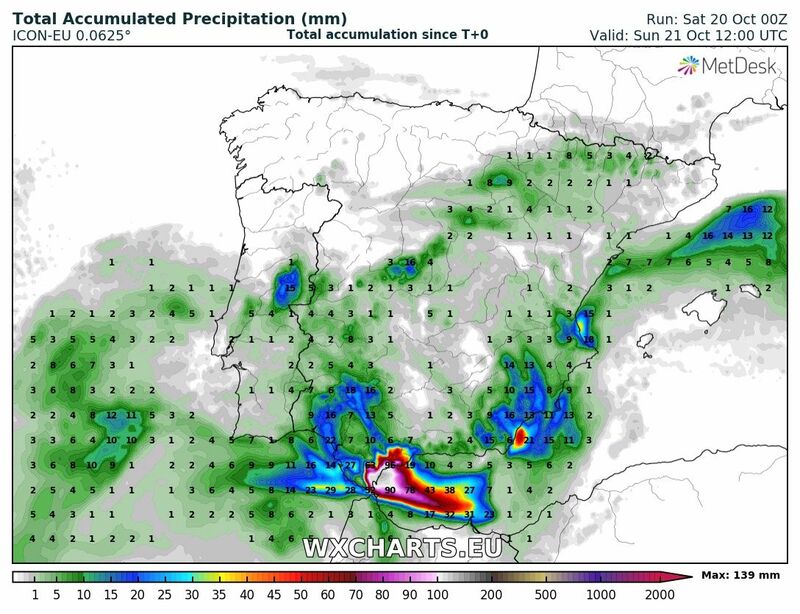 Extreme south of Spain will be getting torrential rainfall and likely local flooding over the next 24-36 hours. Latest high-resolution model guidance (AROME, ICON-EU) indicates up to 100-150 mm of rainfall over the next 24-36 hours. Local flooding is likely. Rainfall totals across the Iberian peninsula until midday Sunday. ICON-EU model. Map: Wxcharts.eu. Rainfall totals across the Iberian peninsula until early on Monday. ARPEGE model. Map: Wxcharts.eu.